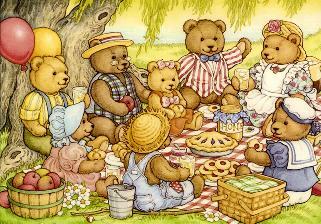 Mam and Buddy Bear invite you and your “youngin” to a very special event, The Teddy Bears’ Picnic. When The Special Surprise turns out to be ruined, Mama and Buddy set off on a plan, with the audience’s assistance, to make all that is wrong right again. Join them in the festivities as they prepare to dine, dance The Teddy Bear, and make new forest friends. This unique theatrical experience places parents and their little ones in an intimate and magical playground where anything goes.